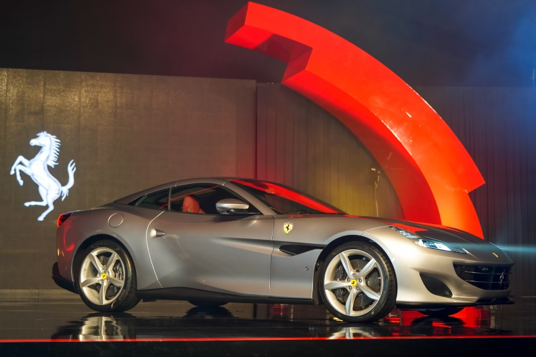 Naza Italia, the official importer and distributor of Ferraris in Malaysia, has just revealed another jewel in its crown—the Ferrari Portofino. Having debuted at the Frankfurt Motor Show last year, the car is a synergy of splendour and versatility. 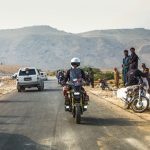 In our article last month, we wrote about the Portofino embarking on a crisscross tour covering 60 cities in Europe, beginning in the town from which its name was derived from—Portofino, in the region of Linguria, Italy. Mr. Damien Woo (National Brand Head – Ferrari of Naza Italia Sdn Bhd), Mr. Marco Sambaldi (Head of Sales, Ferrari Far and Middle East Hub) and Dato’ Samson Anand George (Group Chief Executive Officer, Automotive Group, Naza Corporation Holdings Sdn Bhd). 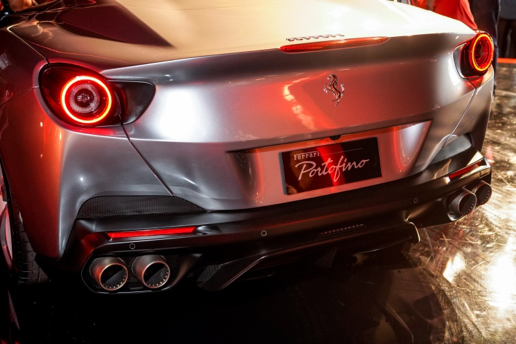 The Portofino succeeds the California T and this V8-powered machine boasts 591 horsepower and does the century sprint in in 3.5 seconds. 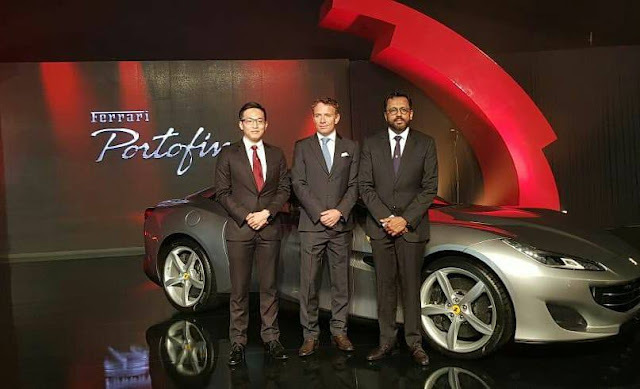 “The Portofino is the most powerful convertible car in the GT segment that Ferrari has ever produced and Naza Italia is thrilled to present this dynamic model in Malaysia. Combined with versatility, it offers a level of driving pleasure and on-board comfort unparalleled on the market,” said Dato Samson Anand George, Group Chief Executive Officer, Automotive Group, Naza Corporation Holdings Sdn Bhd. 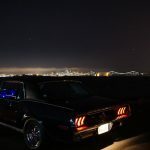 “This incredibly versatile V8 GT delivers sporty elegance, extreme performance, high-tech innovation and lavish comfort in a combination that is ideally suited to our customers’ automotive desires,” he added. 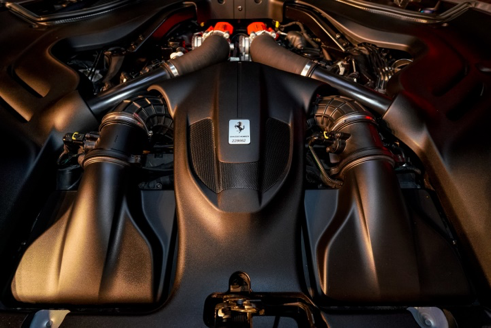 For the first time in this type of Ferrari model, the third-generation electronic rear differential (E-Diffs) has been integrated with the F1-Trac, improving both mechanical grip and the control of the car to the limit. It is also the first GT in this range to be fitted with EPS (Electric Power Steering). These add-ons reduce the steering ratio by 7%. Inside, you will find a 10.2” infotainment touchscreen display, new air-conditioning system that improves passenger comfort either with the top up or down, 18-way adjustable electric-powered seats with a new backrest design that boosts legroom for rear seat passengers, and the passenger display and a new steering wheel. If you are up for open-top driving, you will appreciate the new wind deflector which can cut air flow inside the cabin by 30% and reduces aerodynamic noise. The GT weighs in at 1,664kg, lighter by almost 80kg compared to the California T. It has a 46% front/54% rear weight distribution. The Ferrari Portofino is being introduced at the base price of RM948,000.00 (about US$239,852), excluding duty and customisation options.